After two years in pro ball with the Royals, I dropped down my arm angle through the advisement of the front office. This was due primarily to my low velocity form the left side and my arm action as they thought I could be successful at it. The dropping process was a little rough for a while as my body took time to get used to the change in mechanics. Probably six months passed before I was fully used to the new throwing motion and how to effectively use my pitches. Eventually, I learned to only drop down against lefties and could mix arm angles on various pitches. Against lefties, I gained a huge advantage in the angle from which I attacked. Having a slider and fastball from underneath, it added a dynamic to which I could change hitters timing and eye levels. This took my effectiveness against them to a new level. By dropping down, I was able to take power away from left handed hitters and attain weaker contact. This, in turn, made my success rate higher and allowed me to pitch above my talent for several years. Not dropping down probably would have hindered my success, and I would have stalled in AA. Dropping down is not something for everyone. Many guys I coach now like to think they can do it effectively and that it is an easy transition. It is not. A high learning curve is needed for several guys and the mechanics of it are more complicated than the norm. Most younger pitchers I see that do make this transition have little knowledge on how to use the their bodies and pitches effectively. I truly believe becoming a submariner is a career saver not a career starter. Most pitchers who pitch a high level had to make the adjustment to continue their careers, whether in college or in pro ball. Mechanical tips are tough to give without being with a guy going through the transition. One must learn to stay low through the pitch to avoid balls up in the zone. Also, the legs, hips and core must be utilized highly to maintain any type of velocity that is lost through the lower arm angle. 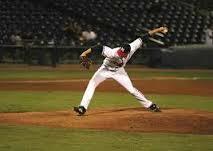 Pitchers must also learn a different hand positioning on their pitches to maintain depth on all of their pitches. From underneath, I threw with two different fastball grips, traditional four seam and two seam grips. I did have to alternate the two seam to using the seams more to attain a better feel off of the finger tips. I also threw a sweeping slider that when thrown correctly broke horizontally from the left hander hitters hip to the outside corner. This pitch had little vertical break but was effective in making of the end of the bat contact. I could never master the change up from this arm angle as the ball typically stayed flat, which was the main reason I abandoned the lower arm angle against right handed hitters. When I fully develop the arm angle, I mixed quite a bit against lefties. I would throw all my repertoire from over the top and down below to confuse them and throw off their timing. As I began to gain confidence in the lower arm angle, I began to enjoy pitching to lefties more and more. Throughout college and the first few years in pro ball, I was more of a fastball and changeup pitcher making me effective to righties. Lefties more or less dominated me as my curveball was not very good. But seeing the effects against lefties, I began to transition to becoming what most organizations want from a left handed pitcher: a good situational lefty. The biggest impact, I believe, was my attitude in enjoying my new pitching style. I fully engrossed myself in learning how to use the motion to the best of my ability. This is the key with any player making necessary adjustments to continue to play baseball.